Josh Murphy doesn't have to look too far to find someone in the Leinster dressing-room who is well-placed to offer advice on how best to juggle playing professional rugby and studying medicine. The 23-year-old flanker is in his fifth year at UCD and as recently as last week undertook a set of tough practical exams, which are a crucial part of his degree. It's a pretty hectic time for Murphy. After he fulfilled his media duties, he was straight into lectures before switching the focus back to the game-plan for Saturday's Guinness PRO14 clash against the Dragons. He is slowly adjusting to the busy schedule and given that Felipe Contepomi's life once had a similar look to it, Murphy has been able to lean on Leinster's backs coach, who is a qualifier doctor, for some advice. "I only talked to him for the first time last week when we were in South Africa," the 6ft 4in former St Michael's student said. "But for the most part I just let him be the backs coach. I don't want to annoy him too much. It gives you confidence it can be done." 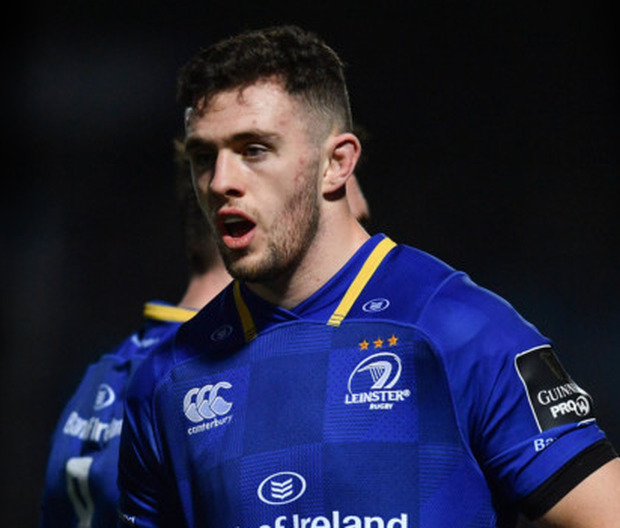 Murphy, who is a first cousin of Ross and Harry Byrne, started his fourth game of the season last weekend in Leinster's impressive win over the Ospreys and that he did so is a testament to his dedication to both rugby and his studies. "Last week was interesting, I had some exams earlier in the week, so I got in in time for training on Monday, then I was done on Tuesday so it was grand," he explained. "It was a practical exam on Tuesday, then it was out of the way until the Ospreys game. They were sound enough to get me in Vincent's on Tuesday for the practical. "There were six stations, and you have to examine a different system per station. "First one you go in, you've eight minutes to figure out what's wrong with this person's heart, you have to go through the motions and show them you know everything. Then try and give them a diagnosis without panicking too much, then answer questions. "Next up was lungs, then brain, eight minutes each way. Then communications, telling people bad news or something. That was the practical exam. It was an hour but it feels like ten minutes when it's finished." Leinster have been fully supportive of Murphy's studies and while the majority of his focus is on rugby, he understands the importance of striking the right balance between the two. "I kinda went offline for the last few weeks, I didn't talk to too many people leading up to those exams," Murphy added. "But now I'm in the hospital, and seeing what the end of it might be and you can actually get to be a doctor. "It's tougher time-wise, but I realise why I'm doing it now. "I can only be a rugby player for so long. So, hopefully both will work out and medicine will slot in when I finish rugby."